Competition for top honours was hotly contested. Richmond restaurants took the prize in two newly added categories this year: Dinesty Chinese Restaurant for Best Xiao Long Bao (Shanghainese soup dumplings) and Excelsior Restaurant, a 2009 Critics’ Choice Signature Dish Award winner, for Best Alaska King Crab dish. “This year we gave the dining pubic the chance to vote like food critics in two Signatures Dishes categories, Alaska King Crab and Xiao Long Bao,” Mr. Stowe comments. Repeat victories in a number of categories bespeak a consistent level of excellence among the winners. BBQ Master in Richmond has garnered Best BBQ Shop for four years running, while Congee Noodle House and Pearl Castle have taken their respective awards of Best Congee Noodle Restaurant and Best Taiwanese Restaurant/BBT Café for the last three years. 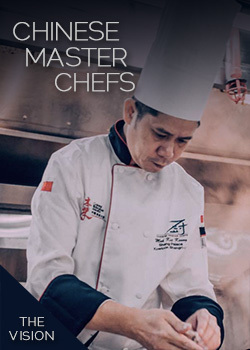 Over 8,000 diners treated their palates to a superlative level of culinary artistry during November’s inaugural Signature Dish Dining Festival, a first in North America, presenting an impressive array of Chinese signature dishes at select restaurants throughout Vancouver, Richmond and Burnaby. At the end of their tasting journey, food lovers recognized their top picks with votes, selecting Jade Seafood Restaurant in Richmond as Best Festival Restaurant Overall among the 18 participating restaurants. Awards will be presented to the Diners’ Choice winners at the 2012 Chinese Restaurant Awards ceremony on January 11, 2012 at the River Rock Casino Resort’s Show Theatre. For a complete list of winners, please see the attached list.